Nile Rodgers & CHIC are the latest superstar headliners to be confirmed for the Eden Sessions this summer and will play a show on Friday June 21. The legendary hit-makers will be returning to Eden after making their debut at the Sessions in 2013. Nile Rodgers also appeared at Eden for the BBC Music Day concert in 2016, appearing in a live broadcast of The One Show from the Mediterranean Biome. Nile is a multiple Grammy-winning composer, producer, arranger and guitarist with more than 200 production credits to his name. He is constantly traversing new musical terrain and successfully expanding the boundaries of popular music. As the co-founder of CHIC, Nile pioneered a musical language that generated chart-topping hits such as Le Freak, sparked the advent of hip-hop with Good Times, and won CHIC 11 Rock & Roll Hall of Fame nominations. Nile transcends all styles of music across every generation with a body of work that’s gained him inductions into the Rock & Roll Hall of Fame in 2017 and the Songwriters Hall of Fame in 2016. 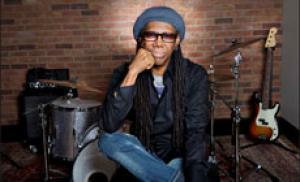 His work in the CHIC Organization and his productions for artists such as David Bowie, Diana Ross and Madonna have sold over 500 million albums and 75 million singles worldwide while his innovative, trendsetting collaborations with Daft Punk, Avicii, Sigala, Disclosure and Sam Smith reflect the vanguard of contemporary music. CHIC released their ninth studio album, It’s About Time, in September last year. The record features collaborations with Lady Gaga, Elton John, Stefflon Don and Emeli Sandé. CHIC have been nominated in the International Group category of this year’s BRIT Awards. The Eden Sessions enter their 18th year in 2019 with The Chemical Brothers (June 28 – sold out) and Kylie Minogue (July 2 and 3 - both sold out) the other artists confirmed for the season so far. Tickets to Nile Rodgers & CHIC Eden Session cost £50 plus £5 booking fee and are on sale to members of the Inside Track club from midday today (Tuesday February 19). Tickets go on general sale at 3pm on Tuesday February 26 on www.edensessions.com.